Getting High On His Own Supply??? Now highly controversial, Afghan President Hamid Karzai’s corrupt government and “mental stability” are being questioned. On major news outlets, the former US envoy to Afghanistan strongly indicated–“wink-wink, nod-nod“– that the leader of the country that’s the world’s largest heroin producer has a drug problem himself! Does this kind of innuendo start when the “puppet” cuts his strings and runs away? in Afghanistan, I look to the curious. What about Suri Cruise’s high heels? Does Scientology approve this footgear for 3-year-olds? 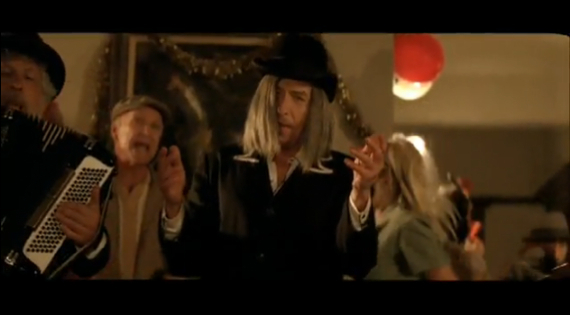 On another note: I am taken aback by Bob Dylan’s appearance, in a pewter pageboy wig and Santa hat, on his new Christmas album, and by the entire undertaking! 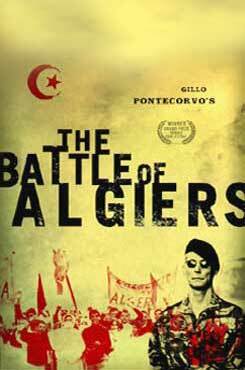 I’m talking about Gillo Pontecorvo‘s, THE BATTLE OF ALGIERS. We came home from dinner & it was on Turner Classic Movies. Seeing it now–in light of our country’s “war on terror”–is astounding. Made in1965 by an Italian director, it covers the years 1954 to 1962 when the FLN, a group of Algerian nationals, began an armed struggle to oust the French from their country.The winner of many awards, the fact-based black & white pseudo-documentary is a masterpiece. UNFORTUNATELY, its resemblance to today’s Iraqi bloodbath is uncanny. In scene after scene Algerian men, women and children take part in assassinations & bombings to win independence for their homeland. The only thing missing is suicide bombers.This film was nearly FORTY YEARS OLD, dealing w/ events that took place NEARLY HALF A CENTURY BEFORE, when it was screened around D.C. prior to the Iraq invasion!!! Obviously the Washington big-shots thought their attempt at “nation-building” would work out better than it had for the French, who had a troop build-up in Algeria of a half million. LESSONS NEVER LEARNED. Also, lest we forget, Vietnam was another French colony until they bailed & we moved in!!! The Democrats signed the Iraq War funding bill that Bush wanted. What’s going on? Can they ignore why they were elected? Bill Maher had on obstetrician/congressman Ron Paul, who is running for President as a peaceful, intelligent, forward-thinking Republican. He talked about many things–including the “blowback” our gov’t has experienced in the Middle East. We installed the Shah of Iran & ousted Mossadeq, a prominent leader who had nationalized the Iranian oil fields, in a CIA coup; supported Bin Laden & the Mujahideen in Afghanistan when they were fighting the Soviets & there was the alliance w/ Saddam in the 80s when he was at war w/ our arch enemy, Iran. All these carefully orchestrated moves eventually turned sour–hence, blowback. Of course they’re trying to throw Ron Paul out of the Republican debates. He’s not singing the party anthem……..